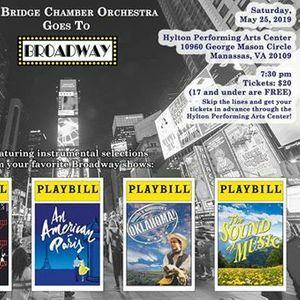 Old Bridge Chamber Orchestra is bringing Broadway to your backyard on Saturday, May 25, 2019, at 7:30 PM on the Merchant Hall Stage of the Hylton Performing Arts Center. 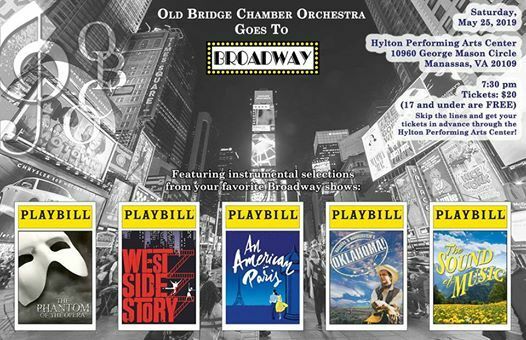 OBCO will feature instrumental selections from some of your favorite shows including The Phantom of the Opera, West Side Story, An American in Paris, Oklahoma, and The Sound of Music. General Admission Tickets are just $20; guests 17 and under attend for free. 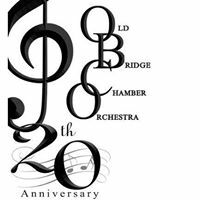 Tickets are available through the Hylton Performing Arts Center Box Office and by visiting www.hyltoncenter.org.